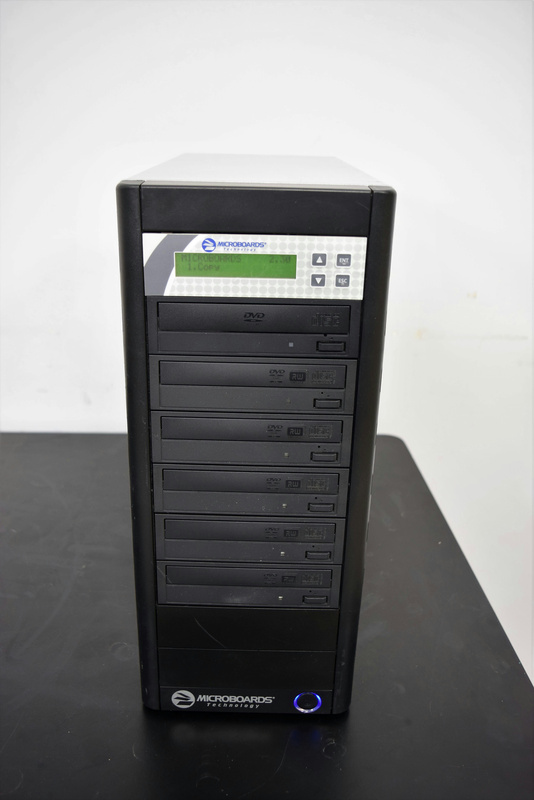 Microboards Technology 1- to- 5 Disc Duplicator Model QD-DVD-125-03 . New Life Scientific, Inc. Looking for an affordable option for disc burning, this duplicator can copy up to five discs. Whether you are looking for a 1 to 1 duplicator for making just a couple discs or need a high volume solution for a service bureau producing hundreds of discs a day. This device is for you. Our on-site technicians visually inspected the equipment and tested its capability. All tests passed the functionality of this device. It will copy one or up to five discs from a master disc. Fully tested - in great working and cosmetic condition Has minor wear on casing.